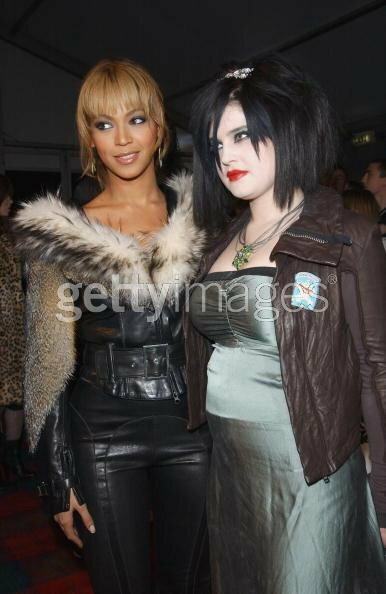 Beyonce' looks thrilled to have her picture taken with a real life vampire. Beyonce is happy to have her picture taken with someone who makes her look skinner. Kelly R. and Michelle are so slender, Beyonce always looks like a cow with huge thighs next to them. She'll be seeking out Kirstie Alley, Rosie O'Donnell, and Star Jones-Reynolds next. I'm so sure you're such a winner..